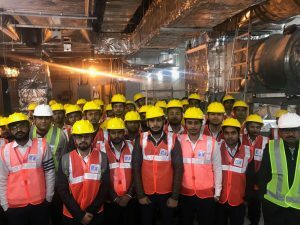 An Industrial Visit was organized by Civil Engineering department, SOE, BBD University on Wednesday, dated 30/1/2019 to LMRC site at Hussainganj, Lucknow. 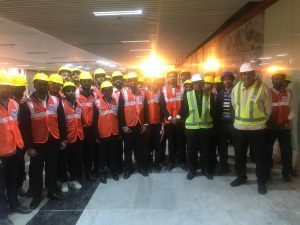 The visit was aimed at providing insight to the method of construction, difficulties encountered during construction, visit to the generator room, AC duct room, platform, railway track. 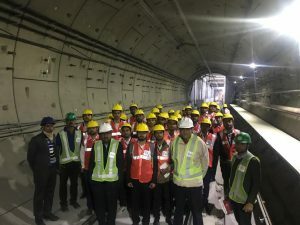 The students were briefed of the latest technologies involved during construction of the track. The LMRC section from Charbagh to Hussainganj is an underground section. The section was constructed with the help of Tunnel Boring Machines. 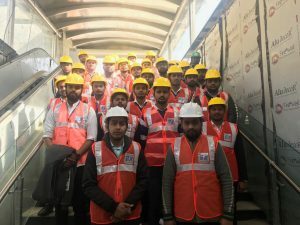 The knowledge of modern Construction Techniques and Construction materials used in Metro construction, Safety measures for both engineers and other workers were highlight of the visit. Mr.AnupamMehrotra, Associate Professor& Head, Department of Civil Engg. BBD University, Lucknow. Mr. AnandAwasthi, Lecturer, Department of Civil Engg. BBD University, Lucknow.